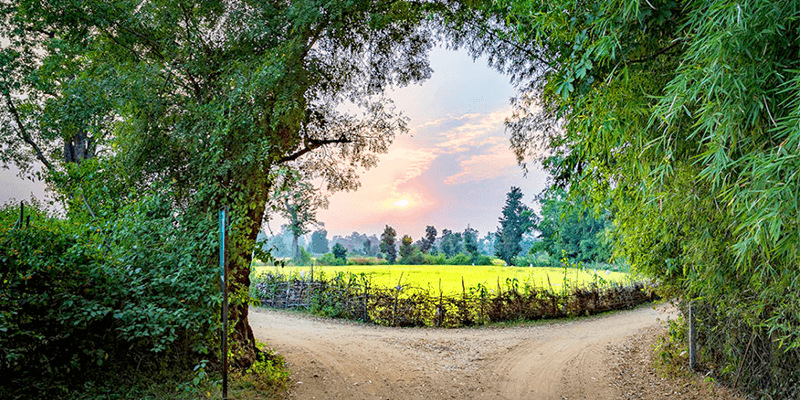 Home Travel All you need to know for a perfect Bandhavgarh trip! 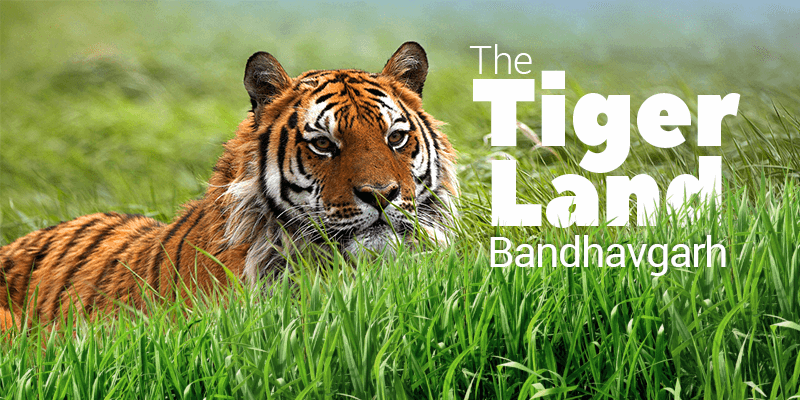 All you need to know for a perfect Bandhavgarh trip! Bandhavgarh, a Tiger abode that is full of surprises and is exquisitely scenic, lies in the state of Madhya Pradesh. It is home to rare Bengal tigers and various other species. Bandhavgarh National Park is among the best national parks of India. It is believed that you have to be seriously hard on luck to return back from Bandhavgarh without spotting a Tiger! It is no wonder than that a trip to this national park in MP tops the list for wildlife lovers. Apart from wildlife sighting, Bandhavgarh national park is also a photographer’s delight. The terrains of Bandhavgarh are laden with beauty and the people you visit once, come back again and again. On that note let us take a trip of Bandhavgarh and its nearby places to visit. NOTE: The national park remains open only from October 15 to June 30. Spread across an expanse of 593 sq mi, Bandhavgarh national park tour is a dream come true for a nature lover or bird watcher. The national park is well known to have the highest population of Tigers in India. It is also home to many other endangered species of animals, such as Indian Bison, Chitals and Langurs. During the Bandhavgarh national park safari you can easily spot Nilgais, Chausingha, Chinkara, wild boars and jackals, apart from Tigers of course! Bird watching is another activity, which will attract your interest as the national park has about 250 species of birds like green pigeons, steppe eagles, black and white Malabar hornbills, browed fantails, gray Malabar hornbills, green Bee eaters, parakeets, white bellied drongos and gold fronted leaf birds. While at Bandhavgarh you would be surely looking for Bandhavgarh national park safari. Safaris are generally organized in six-seater open air jeeps at selected hours of the day. These vehicles offer the best viewing experience of the wildlife sanctuary. The jeep moves past the Main Gate through the Sal forests into grasslands. It provides hours of great viewing experience. 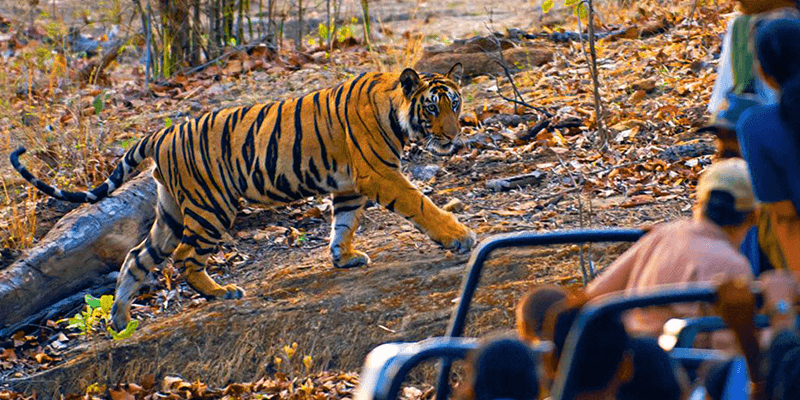 Bandhavgarh national park safari costs: INR 2,500 for a full jeep. While touring the national park do stop by at these sand-stone hillocks. Bandhavgarh Caves comprise of 39 caves spread across the national park premise, but no one really knows the exact purpose served by these caves. The caverns of the Bandhavgarh caves cover a length of about 5 KM. But one must tread into these caves only after seeking advice from the local experts as they have become shelters for tigers, bears and varieties of snakes. 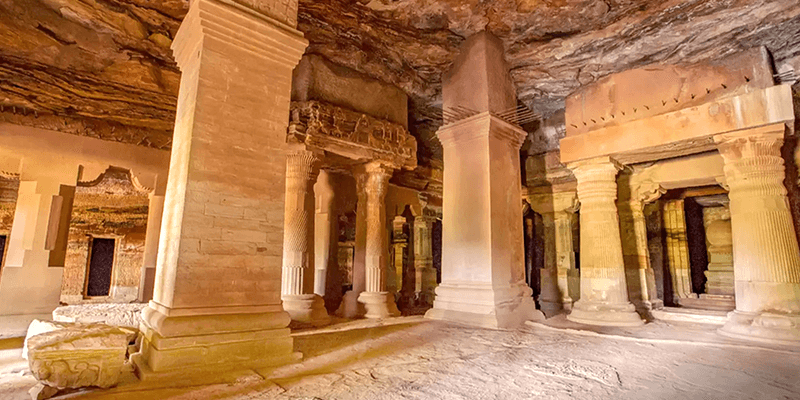 The most popular cave goes by the name of ‘Badi Gufa’ and the locals testify that it has been there from the 10th century. Bandhavgarh got its name behind this ancient fort. Here, Bandhavgarh means “Brother’s Fort”, and as the mythological tale goes, Lord Rama, of the epic Ramayana, after defeating Ravana stopped here and had the Fort built. He then handed the fort to his brother Lakshmana to keep watch on Lanka. 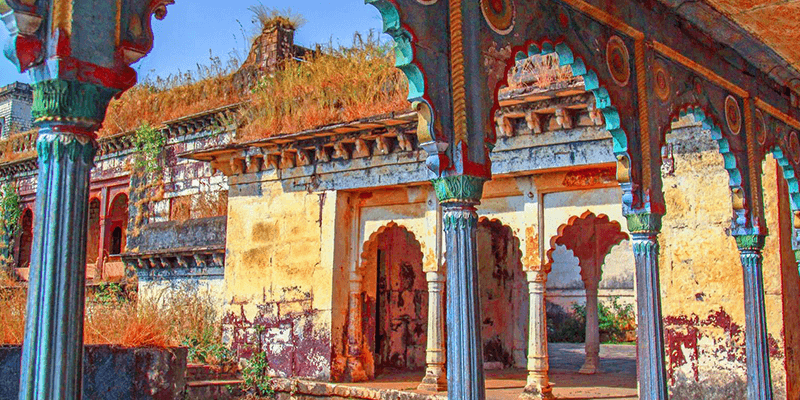 Lakshmana is still worshiped at this fort under the name of Bandhavdhish or “Lord of the Fort”. Within the premises of this fort one can find a 10th century statue of Vishnu in reclining position seated on a seven hooded snake. Ahead, you would come across a spring, which is believed to be the source of Charan Ganga (a stream flowing through the national park). 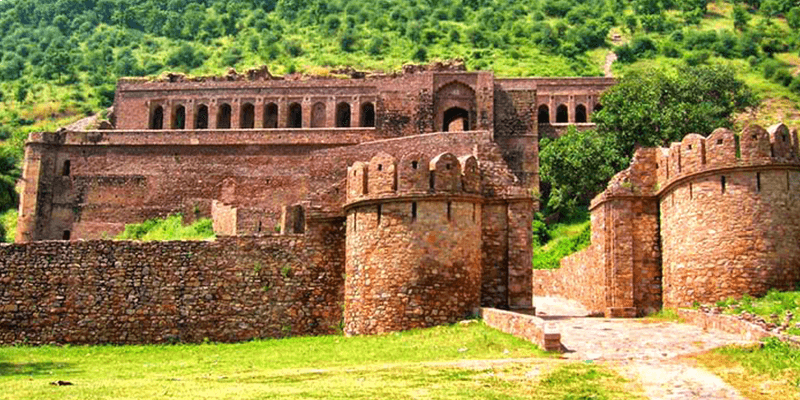 To reach the Karn Pol, or the main gate of the Fort, one has to trek all the way up the hill. All the way up you will be accompanied by Pug marks as well as intricate carvings etched on the rocks. The view from the Fort is mind-blowing and you will be glad to have trekked all the way up. Tala village, situated near the Tala gate of Bandhavgarh national park, is a quaint little village sitting on the lowest point of the wildlife reserve. This village is a must-visit if you want to get an idea about the local way of life. The village, in recent years, has also become home to many Bandhavgarh hotels and resorts. Take a stroll through this scenic little village, converse with the locals and see their small huts. You could also stop by at some stalls selling the local delicacies. 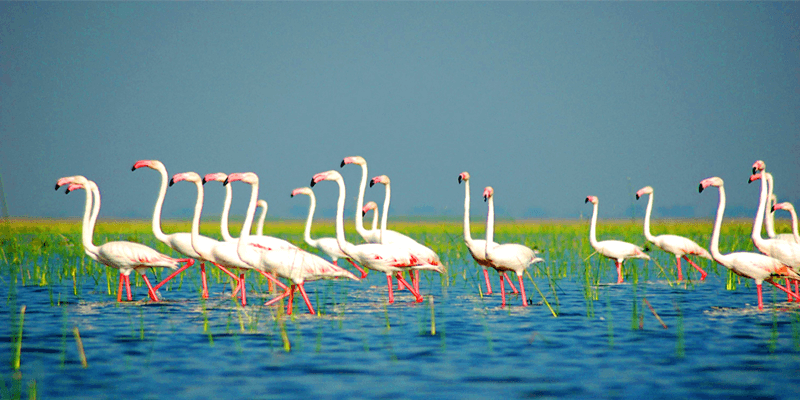 Bamera Dam, situated within the Panpatha Sanctuary, is a birdwatchers’ heaven and you can find many rare and exotic species of birds sitting on the shores of this dam area. Time flows at a slow pace at this scenic dam area. So, just sit back and admire the beauty of nature and tranquility of the place. Situated about 10 KM from the national park, on the banks of river Charan Ganga, Jwalamukhi Temple is a revered place for the locals. 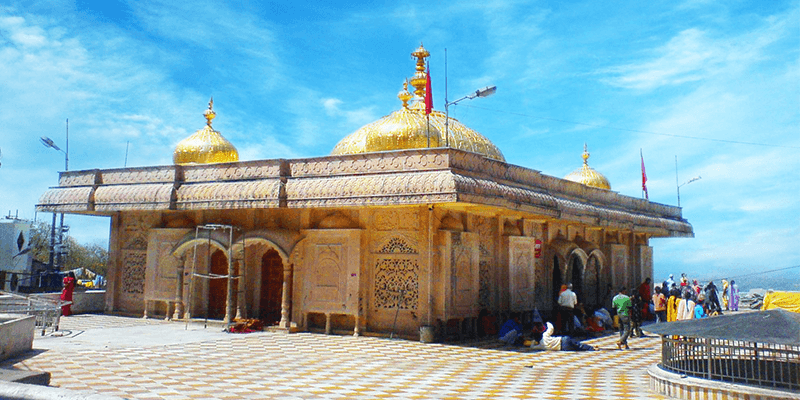 According to the local belief, if you visit the temple with faith in your heart and ask for a wish, it will certainly come true. There is a peaceful vibe all around this temple. So, sit here for some time and spend moments with the almighty. If you want a sneak peek into the life of the royalty in these parts then head to the Baghel Museum. The building for this museum was once the Palace for the Maharaja of Rewa. The museum holds the personal belongings of the Maharaja including his hunting equipment and gears. Within the museum you can find the stuffed body of a white Tiger that the Maharaja shot along with many other royal memorabilia. Previous articleComplete Varanasi trip in 48 hours!